"Over 60% of coaches that access PlaySportsTV coaching and instructional videos through their team and league websites use our drills and tips at least twice during the season. That's more than double the average attendance at local coaching clinics, which typically attract only 25% of all the coaches in a league." With 20+ years of coaching and administrating in the youth sports experience I can tell you that nothing on the market compares to your online training tools. Your site is awesome. Love the tutorials and indeed, these people bring value. As a youth soccer coach, I find myself always looking for ways to improve. The Soccer Training Videos are professional, to the point, and easy to understand. Love the program! 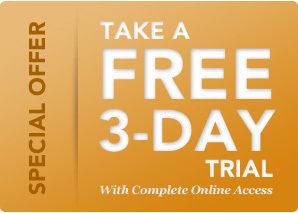 I think your website is very thorough and informative! I really liked the ability to print off drills for practice. When we integrated PlaySportsTV’s coaching plans into our coach training program, we noticed that over 60% of the coaches took advantage of the materials. Our coaches have gained confidence and the kids benefit from better instruction…everybody wins! The way the training was outlined, the videos and notes - it made it very easy to plan practices and the kids got so much out of it… at the end of the season we received the most positive feedback and requests for the same coaches next season. Thanks! The Club did its coaching staff a huge service. PlaySportsTV’s training videos are great. I really enjoyed using the service. I was only volunteering as a coach for a short period of time when our team's coach unexpectedly had to quit. I am not an experienced soccer coach, so your service helped me immensely. I will certainly use it again in the future should the opportunity present itself. I love the site. I'll be back once spring football starts. 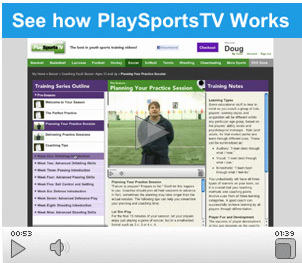 I really like the PlaySportsTV training videos. They are easy to use and they are everything that I teach in my clinics! This will really help to get all of my coaches on the same page with their training of the kids. This will be a great tool for everyone as they can use this on their portable devices right on the field during a practice if needed!!! You guys did a great job setting everything up on our web site!! Your site provided an excellent service. I was a first time soccer coach the past season for 10 & 11 year old boys. The information on your site helped me to train my players well. We ended the season with 4 wins and 3 losses. Thank you very much for all the instructional videos and practice layouts for softball. My girls have grown so much as far as the instructional understanding and just from the basics of “finding the C” on the ball. And the fun little games we were able to play with the girls. Thank you once again. I’ll be sure to sign up next season. Your website was a great tool to get me through my first year coaching boys lacrosse (second & third graders) – thanks a million! Thanks for all of your help. I love having the videos on our Little League website!